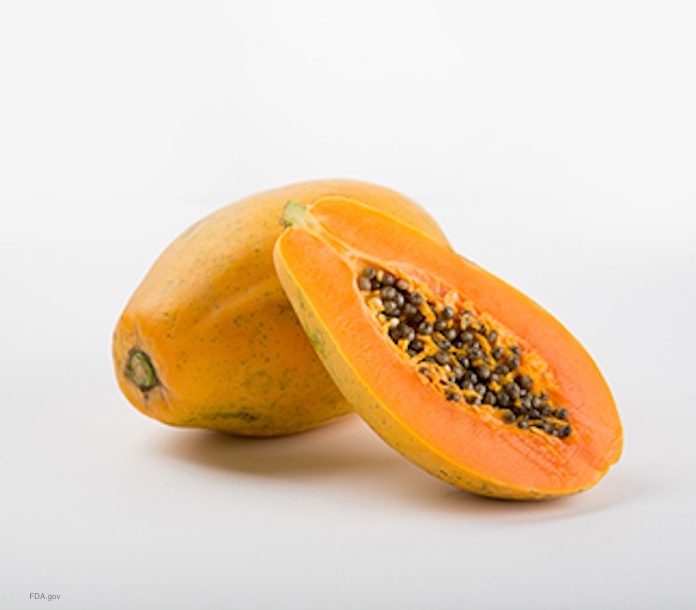 Center for Science in the Public Interest filed a Freedom of Information Act request to the FDA to get a list of retailers that sold the imported Maradol papayas linked to a deadly Salmonella outbreak. The FDA denied that request, so the agency is appealing the government’s denial. As of last week, 201 people in 23 states are sickened in this outbreak. Sixty-five people have been hospitalized, and one person in New York City has died. The request for the retailers list was filed on August 17, 2017. The FDA said that it has 451 pages of documents that are “responsive to CSPI’s request,” but is withholding them, citing “exemptions for trade secret and confidential information. The FDA has said that consumers will have to ask retailers where the papayas they bought came from. A letter written to Scott Gottlieb, Commissioner of the FDA, said, “The names and locations of retail stores where recalled products were sold is critical information that is necessary to effectuate a recall, the goal of which is to prevent consumers from suffering illnesses that can lead to serious adverse health consequences or death.” The FDA provided this information about the frozen raw tuna cubes imported from Indonesia in May that tested positive for hepatitis A. The signatories on that document, including Center for Food Safety, Consumers Union, Food & Water Watch, and STOP Foodborne illness, argued that disclosing that information won’t stop the government’s ability to obtain information in the future because the FDA is authorized to require that information. And second, publishing the names of retailers won’t “cause substantial harm to the competitive position of food companies,” since that names of retail stores are different from customer lists and aren’t confidential information. The symptoms of a Salmonella infection include nausea, vomiting, diarrhea that may be bloody, abdominal cramps, and fever. People usually get sick 12 to 72 hours after exposure to the bacteria. Most people recover on their own, but some must be hospitalized because of sepsis or dehydration. The percentage of hospitalized patients in this outbreak is very high. If you purchased any of the recalled papayas that are linked to this outbreak, and have experienced the symptoms of a Salmonella infection, see your doctor. Papayas from three different farms in Mexico have been identified in this outbreak. And the FDA identified a fourth farm yesterday. The symptoms of a Salmonella infection include nausea, vomiting, diarrhea that may be bloody, abdominal cramps, and a fever. Most people recover without a doctor’s care, but some must be hospitalized because they develop sepsis or dehydration. If you ate papayas and have been experiencing these symptoms, see your doctor. Pritzker Hageman law firm represents and helps people who have been sickened by contaminated food such as imported produce. We get answers, justice for those injured and compensation through our work. Our lawyers represent patients sickened with bacterial infections in personal injury and wrongful death lawsuits against growers, importers, retailers, grocery stores, food processors, restaurants, daycare centers, schools, and others. Attorney Fred Pritzker and his team recently won $7.5 million for young client whose kidneys failed because of hemolytic uremic syndrome after an E. coli O157:H7 infection. Please note that class action lawsuits are usually not appropriate for outbreak victims because these types of cases are very unique.